My deep desire was to find something in the earth out of which walls could be made. My ideal was a man or group of men with spades and pickaxes coming upon the land and creating the walls of a house out of what they found there. I wanted my house, my cottage in “Cloud-Cuckoo Land,” to rise like the lark from the furrows. In this dread predicament what are we to do as a nation? What we must not do is at any rate quite clear. We must not lie down in the high road of civilisation and cry out that we are ruined or betrayed, or that the world is too hard for us, and that we must give up the task of living in houses. Whether we like it or not we have got to do something about the housing question, and we have got to do it at once, and there is an end. Translated into terms of action, this means that as we have not got enough of the old forms of material we must turn to others and learn how to house ourselves with materials such as we have not used before. Once again necessity must be the mother of invention, or rather, of invention and revival, for in anything so old and universal as the housing problem it is too late to be ambitious. It is the object of the present book to attack part of the problem of how to build without bricks, and indeed without mortar, and equally important, as far as possible without the vast cost of transporting the heavy material of the house from one quarter of England to another. The Beginning of a Pisé Fruit-house. Everyone worked at that wall; the nursing staff, the coachman, an occasional visitor, a schoolboy, a couple of boy scouts, members of the National Reserve who were guarding a “vulnerable point” close by, and even some of the patients. At the end of my researches and experiments I found that Pliny has got it all in his Natural History in six lines! There is no need for more words. “Have we not in Africa and in Spain walls of earth, known as ‘formocean’ walls? From the fact that they are moulded, rather than built, by enclosing earth within a frame of boards, constructed on either side. These walls will last for centuries, are proof against rain, wind, and fire, and are superior in solidity to any cement. Even at this day Spain still holds watch-towers that were erected by Hannibal.”—Pliny’s “Natural History,” Bk. XXXV, chapter xlviii. It all started in Africa, of course. In a recent speech the Registrar-General said: “War does not only fill the graves, it also empties the cradles.” This is no less true of bad and inadequate housing. Only the most reckless and thick-skinned of the poorer population will adventure on marriage and the bringing up of a family whilst the odds against decent and reasonable housing persist as at present. My experience of all black labour is, that they won’t put any ‘guts’ into it. They therefore want fairly heavy rammers, which they can lift and drop, say a foot, and which will do the rest for them. This signals the larger problems of Empire and the resulting oppression, exploitation and consumption that have played such a large role in getting us into the current ecological crisis that bears such similarity to the period immediately after WWI when this was written, but I shall note them and then set them to one side. Formerly, he who wilfully carried bricks into Merioneth or the Cotswolds, or slates into Kent or ragstone-rubble into Middlesex, was guilty of no more than foolishness and an æsthetic solecism. If only we had really taken that on board in the 1920s, our towns and cities would look completely different (though he makes the point, and it’s a good one, that this kind of architecture is better suited to the raw materials found in the countryside rather than an urban setting, this requires more thought). It is a mixture of shale and clay and straw, well-mixed through treading and then built in courses upon a stone foundation, lifted on and then trodden well down. It is allowed to project over the foundation, and then pared down and left to dry. 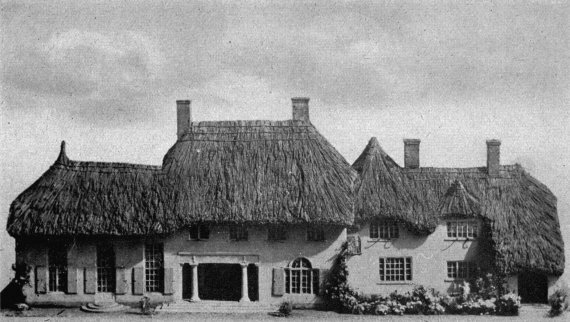 Model of a Pisé de Terre House to be built in Three Successive Stages. The right wing is planned to be built first as a complete small cottage, eventually becoming service and servants’ quarters. 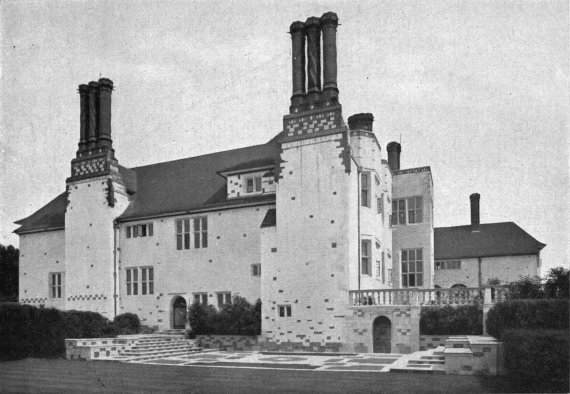 Clough Williams-Ellis, Architect. You can imagine what it would be like inside…and no corridors or hallways. Interesting. 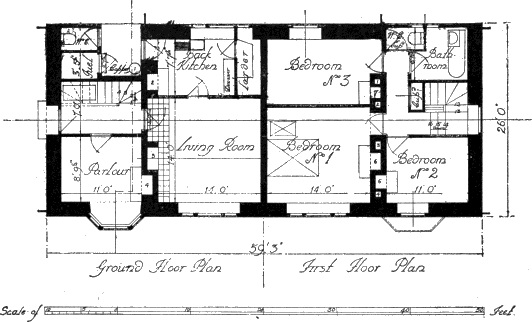 Plan of Cottage designed by Sir Edwin Lutyens and Mr. Alban Scott. 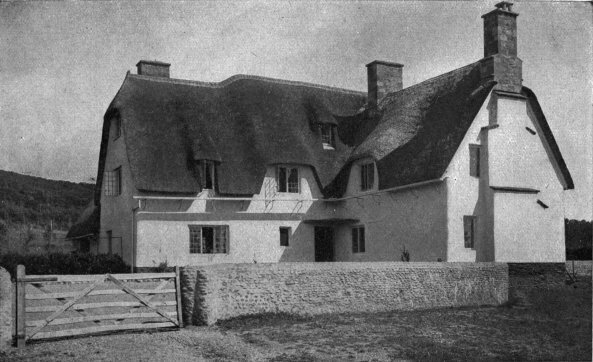 A fine Specimen of a Devonshire Cob House. If well built it keeps the house warmer in winter and cooler in summer, and stays lovely and dry…living in a block house of the 1840s, I can’t tell you how much I like the sound of that. Cob, like every other material, should have a certain say in the design of any building in which its use is intended. In Devonshire the builders of cob-wall houses like to begin their work when the birds begin to build their nests, in order that there may be time to cover in the shell of the building before winter. ….Wheeled carts which began to creep in about the beginning of 1800, were not in general use until twenty or thirty years later. As a boy I knew a farmer who remembered the first wheeled cart coming to Dunsford. In 1838 the Rector of Bridford (the ‘Christowell’ of Blackmore’s novel) recorded the fact that in 1818 there was only one cart in the parish and it was scarcely used twice a year…In the northern part of the county the common price of stonework, including the value of three quarts of cider or beer daily, was from 22d. to 24d... Cob-making was, like many other local trades, carried on in some families from generation to generation and developed by them into an art, but apart from these specialists, practically every village mason and his labourers built as much with cob as they did with stone. I can endorse from experience the comfort of these old buildings, and the affection of Devon people for them. The thick walls give all that a house should—protection from heat in summer and cold in winter. For the contrast, visit the new Garden City at Rosyth. Many of the houses are attractive, but their thin brick walls, tile and slate hanging are not suitable to the north and east coasts. Ask the opinion of the occupants of these new houses. Many of them are Devon born and bred, and imported from the dockyards of the three towns. They nearly all complain of the cold, and their views form an interesting comment on modern construction. You can see the outside but not within, and it troubles me that Raleigh too was exiled from the home of his childhood. Rats.—Where the surface rendering of cob-walls has been omitted or has been allowed to fall away, an enterprising rat will sometimes do considerable damage by his tunnelling. This made me think immediately of an episode of Nigel Kneale’s Beasts, or Terekhov’s The Rat Killer, but neither has been enough to put me off these wonderful homes. Now, to move on to Clough William-Ellis’s second method: ‘“Pisé de terre” is merely the French for rammed earth, and rammed earth is an exceedingly good material for the building of walls.’ You built a stout form of wood and ram earth down into it and it is as strong and impervious to weather as anything. Sketch of a Pisé House in Course of Erection. With acknowledgements to The Sphere. The material used for the walls at Empandeni is one-third sand, one-third ant-heap, and one-third soil, all pulverised and put through a sieve. Ant-heaps seem to provide a perfect leaven, and there is more discussion of how to keep ants out. I can attest to the importance of this. There was a demonstration building put up at Newlands Corner, near Guildford…I am curious if it is still there unsung, I can find no mention of what happened to it. But there is a lovely article in the Spectator from 1919. The coolest thing, though, is that you can do this with chalk, as well as build of chalk blocks. 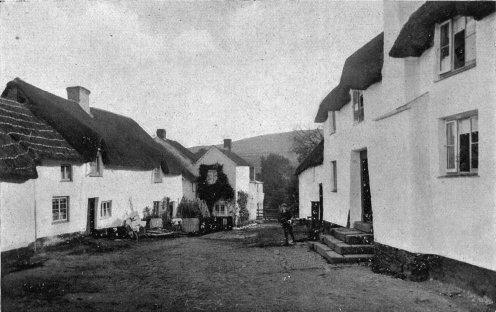 Those who may wish to see buildings in chalk conglomerate, both old and new, would do well to visit some such typical chalk district as that lying about Andover in Wiltshire. 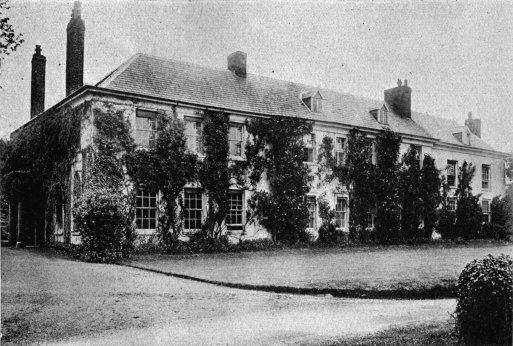 It should, however, be constantly borne in mind that most of the old cottages were somewhat unscientifically erected by their original jack-of-all-trades occupiers, that damp-courses and Portland cement were unknown, and that the advantages of proper ventilation and the causes of dry-rot were discoveries yet to be made. Secondly, a large number of these cottages have been sadly neglected either recently or in the past, and they bear the disfiguring marks of their ill-treatment upon them now. But a chalk cottage that is well found in the beginning, and that is reasonably well cared for subsequently, has nothing to fear from comparison with cottages built in the most approved manner of the more fashionable materials. 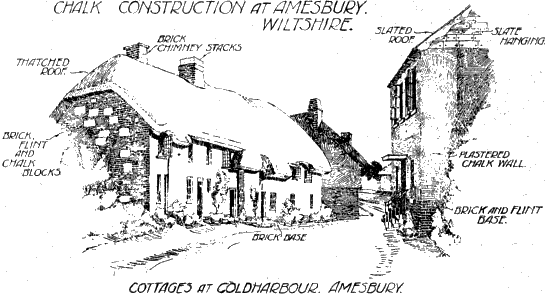 Chalk Construction at Amesbury, Wilts. In its purest form chalk consists of over 95 per cent. of carbonate of lime in the form of fine granular particles held together by a calcareous cement, its organic origin being clearly traced in the remains of the minute sea creatures with which it abounds. I am looking forward to hunting some of these old buildings down, it never occurred to me you could build with it. At Medmenham there are cottages both old and new of hewn rock chalk, and both the Berks and Bucks banks of the Thames have many buildings to show of this beautiful material. 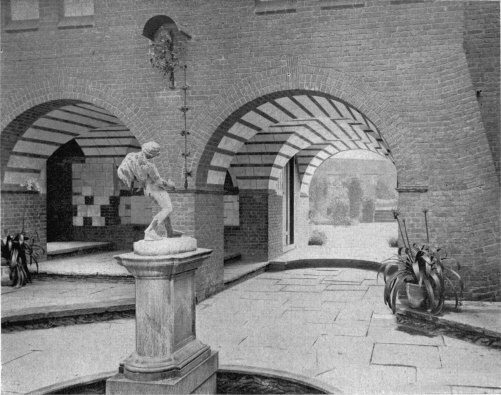 The Deanery Garden, Sonning — another place you can no longer go, because it is owned by Jimmy Page, guitarist of Led Zepplin. Yet another odd resonance with my youth, and I felicitate him on his choice but damn, I’ll never get in there now. And finally — there are buildings of adobe! They may be known unflatteringly as ‘lumps’ at this point but still, amazing find unburned clay bricks here. “Who, travelling from Norfolk to London, whether by the Ipswich or Cambridge line, has not noticed the numerous colour-washed or black (tarred) cottage, farmhouse and agricultural buildings scattered practically all along the countryside? Some of these are of studwork and plaster, some of wattle and daub, but many are built of clay made up into lumps, sun-dried, and built into the walls with a soft clay-mixture as mortar. A Row of Clay-lump Cottages. The front has been plastered and panelled out. In the upper part of the stable building, seen in the foreground, the clay-lumps are shown exposed. These made me happy, I will go find them also. Wish my dad could’ve seen them, because there is something about living in a building made of the earth itself, and this was my parent’s gift to me.